Inspired Action or Just Activity? The upcoming overnight ( AUGUST 13TH & 14TH ) is an important part of one’s karate training, as is each class during the week. As said by Mr. Gugler, each experience is a chance to test one’s self and work beyond existing limits, mentally and physically. During the outside setting the ground is not even; there are rocks, roots and unseen obstacles (especially when in the river). No student is expected to do more than he or she is capable. Each black belt is ready, willing and able to help when needed. Training what is known in a different setting during day and night sessions is only going to help one improve. Expanding the preset limits will help us in future challenges in and out of the dojo. REGISTER ASAP. As you should know the 3rd Friday of each month a special training session is held at the dojo. Training specific to improve and advance abilities in Kata, Kumite and Weapons are conducted. There will be no August sessions as we will be at the house for the overnight. Starting September I must know by the 2nd Tuesday of each month if you will be attending so I may plan the session. If you do not let me know, you may not attend. In less than one year (June 23 to 25, 2011) the Isshin-ryu World Karate Association World Championships and Seminars will be held in Indianapolis, Indiana. Hotel reservation information and registration materials are available on their website www.isshinryu2011.com. The Indianapolis Marriot East is the place where the seminars and championships will be held. We have hosted two world championship events. 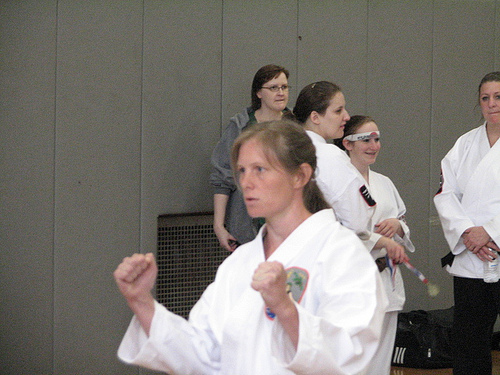 Each event is a unique experience to train with people from across the world and there are many categories for kata and sparring so each person will be competing in the appropriate category for age and rank. 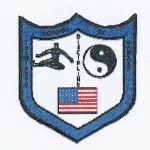 The American Isshinryu tournament will be Saturday, September 25, 2010 at Marist High School. See Kyoshi to pre-register. The flyer is on the information center. This past weekend I was given the opportunity to test my mental and physical limits. With the help of a truly extraordinary group of people, I was taken beyond my limits and shown that boundaries are self-imposed. Be aware of the big difference between inspired action and activity. Activity comes from the brain-mind and is rooted in disbelief and lack of faith – you are taking action to “make” your desire happen. Inspired action is allowing the law (where anything one wants and desires will become reality) to work through you and to move you. Activity feels hard. Inspired action feels wonderful. In the dojo it is evident when a student is training with activity or inspired action. Whether it is a junior or senior student, everyone has good and not so good days. Each of us has questioned our involvement in an exercise program or training in the dojo. These times are often when progress or improvement is going to be made. These challenging times occur because of the repetitive nature involved in exercise programs and in traditional karate programs. Progress, advancement or growth may not be seen or happen when we want it. The parents of junior students often talk to their children to help them continue practice or the parents bring the times of struggle to the attention of the black belts and we can also help the parents and students. Life is not always easy and full of fun. School, work and other obligations demand that the individual commit to self-improvement and commitment to one’s self and other outside obligations. During the summer camp in Maine, I had the opportunity to talk to four individuals that were to be promoted to second-degree black belt at the end of the sessions, if they completed necessary elements. Each of them, Hanshi and I mentioned that we have worked through these times of doubt or stress. Each realized that growth is slow at times testing the desire to grow inwardly as well as outwardly. The intrinsic nature of karate shows much about the development of an individual. Unlike many activities where the awards come frequently, traditional training rewards inward growth as well as progress through the ranks. There are health benefits to continued study. By mastering ourselves in our training, we can learn to master other aspects of our lives. Personal, financial, or professional success is not beyond the capabilities of a disciplined martial artist. These benefits may be seen and touched. The unseen and intangible benefits of philosophical study nourish the individual’s spirit and are even more meaningful. Understanding aesthetics (what is beautiful), ethics (what is good), metaphysics (what is being), and epistemology (what is knowledge) can provide the karate student the ability to understand what is true and beautiful and can deliver the wisdom and the strength to know what is just and what is right. Look for the little successes that create a smile or a sense of inner happiness. Work toward improving skills and abilities knowing that these elements will make us succeed at whatever we put our minds to. Be happy with what can be done and strive to take steps toward advancement and improvement and inspired action will become natural. The weekend of July 16th and 17th I traveled to Maine to be a part of Shihan Pushard’s training camp with Hanshi Duessel and in excess of 100 students and black belts. It was good to see all the students participating in a number of activities and sharing and revisiting good times. Shihan and Sensei Rebecca Pushard are to be commended for the work they did for this weekend activity and for what they do to promote their dojo and Isshin-ryu Karate. Posted in Dojo Newsletter, Promotions.